Check out some of the seafood species you'll find in our local waters! Many of these can be found on our dinner menu! Many of our local waterways, cities and natural landmarks were named by Spanish explorers hundreds of years ago. This is true for most of Florida... the conquistadors made a practice of naming important navigational landmarks (usually bays and rivers) for Catholic saints. Hence, St. Andrew's Bay, the large bay which is at the heart of this county was named for St. Andrew because it was discovered on the day the Catholic calendar designated to the patron Saint, Andrew. Written records of these early Spanish expeditions reported sightings of "tall" Indians living in lodges thatched with palm trees along the many magnificent harbors and deep pockets customary to this area. The Spanish explorers built several forts and outposts along the Gulf Coast... one was in a sheltered shallow-water cove on Shell Island, still know as Spanish Shanty Cove. Until the purchase of this land, by the U.S. in 1819, it was a "no man's land" for runaway slaves and Indians. General Andrew Jackson was infuriated by the lawless nature of the place and brought national attention to the area in 1818, when his army marched through on their way to New Orleans. Jackson was the first American to survey St. Andrews Bay, and his army spent considerable time here. Many of his soldiers and officers returned to the area to settle when the territory opened for settlement in 1821. Relocating the Indians became an argument that plagued the area until Jackson signed the Indian Removal Act in 1830. Old Town St. Andrew was established about this time. It didn't take long for the appeal of the deep water harbor to strike a cord. In 1825, St. Andrew became a "Port of Entry" for the shipment of cotton, cattle, beef, pork, lard and lumber to foreign countries. In exchange salt, coffee and other commodities were received. Present day Watson Bayou is named after James. B. Watson who acquired most of the land between where the Hathaway Bridge and Dupont Bridge now stand. He used this land to cut timber for his sawmill on the west side of the Watson Bayou in 1837. There were several times during this period when it was proposed to sell the panhandle to Alabama, but many residents threatened to dispose of their holdings rather than become Alabamians, so the panhandle was incorporated into the Florida territory. The next step was to set up a state government, which was completed by 1839 and in 1845, Congress admitted Florida as a state into the union. By the 1840's and 50's, planters had discovered abundant fertile land and built summer cottages and homes on St. Andrew Bay. By the mid 40's, a post office, a tavern and the equivalent of several small 19th century "mom and pop" stores existed. The 1860's brought about The Civil War and commercial growth was brought to a halt as loyal Confederate residents devoted their energies to the production of salt and salt fish for the Confederate army. In 1862, after the killing of two Yankee soldiers, federal forces struck this Confederate stronghold, leveling all 32 homes in Old Town St. Andrew with a devastating fire that left nothing in its path. 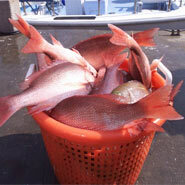 Eventually, the abundance of fish in the surrounding waters revived the local economy. By 1879, there were 25-30 families living along the shores of St. Andrews Bay. 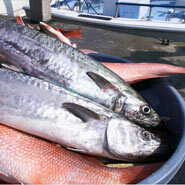 Spanish Mackerel, Jural, Pompano, Trout, Redfish, Sheepshead, Bluefish and Mullet served as the main fuel for pioneers to populate this area. 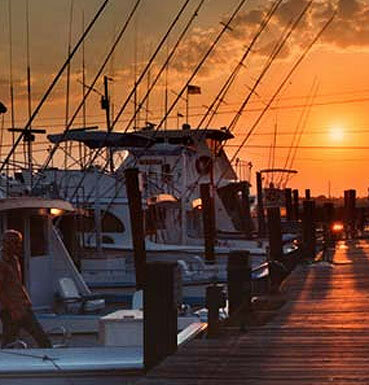 The city of Gay was the next to be established in what is now known as Lynn Haven. Land sold in Gay was $1 an acre and the first sawmill on north bay was built in 1885. The community of Cromanton was established on the East Peninsula of what is now Tyndall Air Force Base. It was named for its first visitor and founder and was a leading "resort" of that period until its citizens were wiped out by a flu epidemic two years later. Growth continued as telephone service was established from Chipley to St. Andrews in 1896. Massalina Bayou became the sight for Floriopolis but was renamed Park Resort after the addition of what is today McKenzie Park. The name was changed again to Harrison - a name which survives today as the name of Panama City's main street, Harrison Avenue. With growth, came the need for jobs, which was soon satisfied with the opening of the St. Andrews Lumber Co. Those seeking work flocked to the mill, and the town which grew up around it became known as Millville. In the 1900's, the mill was sold to the German-American Lumber Co. The City of "Panama City" was formed in 1905, when the United Fruit Company of New Orleans went on strike. The Vice President of United Fruit decided to relocate his company to a port easily accessible to his most important Central American connection.... specifically, Panama City, Panama. In an effort to attract this desirable source of new jobs, local business leaders named the unincorporated area, Panama City. The bid for United Fruit was lost to Tampa, Florida, but the name, "Panama City," stuck. By 1906, Panama City was booming. The founder of Coca Cola, Asa Candler, donated funds to complete the Atlanta & St. Andrews Bay Railway, or the Bay Line, in 1908. The completion of this railroad brought a great many changes. Now, the population was over 600, and Panama City was incorporated in 1909 with ballots from 34 qualified voters. Millville was still ranked as the area's largest community in 1910. Six general stores prospered in the city, along with a livery, a grocery, drug stores, a millenary, a courthouse and several other businesses. It was about that time, that Walter C. Sherman bought the mill and named it the St. Andrew Bay Lumber Company. In the meantime, Lynn Haven was making national news as a colony for civil war veterans. Many vets moved to the retirement community they called "The Magic City." It was a tight knit community, and they worked hard to build their homes and plant significant gardens... the media of the day took notice and began to call the town of Lynn Haven the "Queen City of the South." This slogan was used extensively in the hopes of attracting more people to the area. The Gulf Coast Highway, (Hwy 98) was completed in the 1930's, as well as the Hathaway, DuPont and Bailey bridges which connected the beaches to the cities of Panama City and Lynn Haven. The bridges made travel along the coast much more convenient, but beach property was still considered worthless. Few individuals realized the great natural asset of the soft white sand beaches. In 1933, the U.S. Corps of Engineers began construction of the "New Pass" due to increased shipping and the need for deeper water access. Prior to completion of the dredging, the popular two story resort Pavilion, located east of the intended Pass, was hauled by oxen, along the beach to a new, more accessible, location. The Pass was completed in 1934 and, by 1936, Panama City's first tourist attraction had grown up around the old Pavilion. They called it Long Beach and lots were sold for $100 to $600; investors were urged to "profit while you play." The Long Beach Casino opened a few years later, but beachfront property was still considered to be of little value. The area's first radio station, WDLP, went on air in 1938, and the 30's saw serious tourism development for the first time. Even through the depression, Panama City and the beaches continued to grow slowly; the Washington News Daily stated "Panama City has a destiny as sure as the sun will rise tomorrow..."
With the second World War came even more building blocks to the evolution of Panama City. Families, schools and churches were uprooted for the building of a gunnery school in 1941. This military installation was to be called Tyndall, named in honor of WWI ace lieutenant, Frank B. Tyndall. Tyndall Field was erected at a cost of $3,723,567 and stood to serve 130 officers, 800 cadets and 1900 enlisted men. One of those officers was the famous actor, Clark Gable, who played "Rhett Butler" in Gone with the Wind, and for five weeks in 1942, as Gable worked to earn his "silver wings," Panama City was in the national spotlight. The war department found St. Andrews an ideal harbor, with its two heavily-timbered peninsulas for protection and 200 miles of coastline. In 1942, a small installation was constructed across from Wainwright Shipyard where 102 Liberty ships and six tankers were built during the war. The base was recommissioned as a U.S. Navy Countermeasures Station in 1945. The Panama City-Bay County area was now a military town and needed an adequate airport. More than 500 people witnessed the first airline flight arrive in 1948 and later in 1949, the airport was named Fannin Field. Bay County carved its place in the history books in 1961, with the landmark case of Clarence Earl Gideon. Gideon robbed a Bay Harbor pool room and, when brought to trial, requested to be accompanied by counsel. He was denied representation, and he was sentenced to five years in prison. Gideon petitioned the Florida Supreme Court and the U.S. Supreme Court, claiming he did not receive a fair trial. On March 18, 1963, the U.S. Supreme Court announced its decision, stating "the right of a man to have a lawyer is considered essential in the U.S." Gideon received a new trial and was found not guilty... it was an important milestone in America's justice system. By this time, Panama City had "chopped its way out of the wilderness surrounding a seaside fishing village to an industrial city of 30,000." The post war years brought bigger and better bridges. Towering, 100 foot, sand dunes along the crystal blue shore were replaced with high-rise condominiums, amusement parks, motels and highways. Many of those long ago landmarks are gone forever, only remembered in the minds of the people who lived through the changes. But, the history of a place never really leaves it. History is part of the fabric of the Gulf Coast, and those interested in learning more can find many ways to explore the past.